They say that nothing in life is free – not even the free stuff. This is why certain entities require paid solutions that give them on-demand access to compute, exchange, and store data and information. These paid services have become a part of people’s daily lives and have kept evolving over the last few years. Consumer electronics – personal computers, tablet devices, HDTVs – name it; there are tons of paid services made available to make these gadgets more useful and enjoyable. Mobile phones, especially, have become a lucrative outlet for solutions providers to deliver their services. The hundreds of smartphone apps hosted solutions providers is enough evidence to prove that even the mobile phone industry has been affected by this boom. And speaking of which, we’ve listed some useful Android apps for paid solutions which can be downloaded from the Google Play Store. 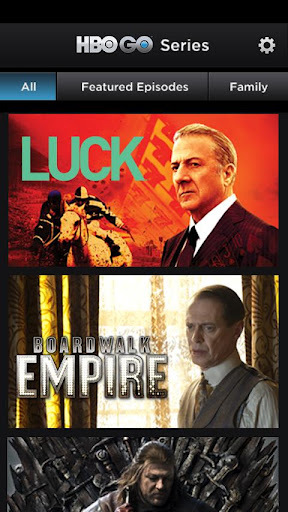 This app allows you to watch via streaming over 1,400 HBO shows ranging from HBO original content,hit movies, sports, comedy, and much more on your Android-powered smartphone. The HBO Go service is offered at a measly $15 monthly fee, but you must have a cable or satellite plan with a company that supports HBO Go. No need to slog your way through hundreds of DVDs to watch your favorite shows – you can access them whenever you want, whenever a 3G/4G LTE or Wi-fi connection is available – and you don’t even have to compromise video quality. A free, downloadable app is also available for RingCentral subscribers. 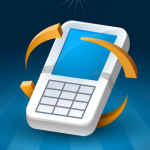 With this app installed, you can easily turn your Android phone into a business phone. Stay connected while on the go with a barrage of PBX features like faxing, visual voicemail, and call management. Make calls using your mobile phone, while keeping your personal mobile number private. The app supports up to three (3) VoIP calls in parallel – one active call and two on hold – so you can’t miss any business calls even while you’re in a restaurant or at a Florida Keys resort. The phone company offers flexible plans for businesses of any size. 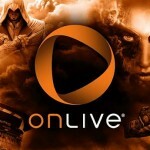 The OnLive app lets you play games on-demand on your Android device wherever you are, whenever an Internet connection is present. You don’t have to download big chunks of files to access console-class games, since your games run on OnLive’s powerful cloud servers. All you need to do is to sign up with the instant-play video game service, buy or try a game, and voila, you’ll have real-time, rich gaming straight from your phone. For Box subscribers, sharing, accessing, and managing content online become ridiculously easier with this app made available for Android users. Lately, businesses have seen a big move towards mobile workforces, so having a cloud-based mobile tool for accessing content can definitely further their productivity. Box offers a whopping 50GB of free cloud storage from the usual 5GB and has upgraded the upload cap to 100MB from the usual 25MB for Android users. For Business and Enterprise users (starts at $15 a month per user, minimum of three (3) users, for 1000GB of web storage), Box offers the Box Sync component, to allow synching of folders or files on your desktop to your account. Nothing is free, but you can always choose to make the most out of what you already paid for. At this rate, it isn’t so hard to see that even paid services are tapping the Android platform to make customers even more satisfied.